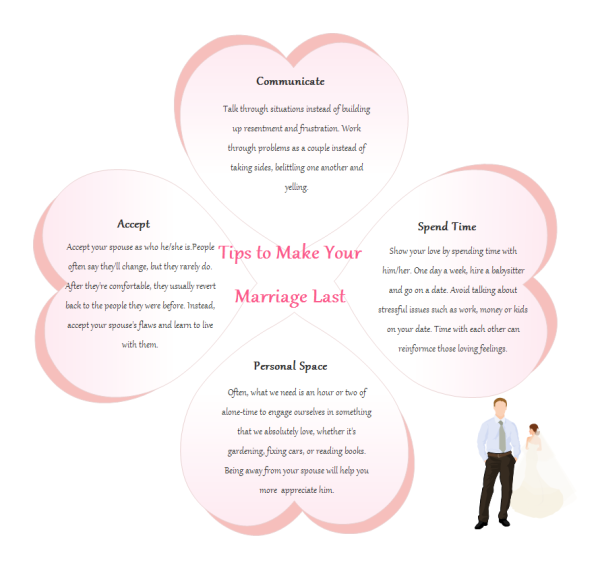 Below is a marriage tips diagram example drawn with Edraw. Users can represent other contents using this easily customizable template. Create nice presentation templates using Edraw pre-made shapes and graphics. You can download and modify this template for your own use. Discover why Edraw is an excellent program to create marriage tips. Try Edraw FREE.